It’s the new work order: abandon the shackles of the 9 to 5 in favour of working multiple jobs, for multiple employers. Drive for Uber, take some paid board positions, consult part-time, set up your own side hustle – there are lots of ways to tap into the gig economy or start a “portfolio career” and, increasingly, Aussies are doing it. 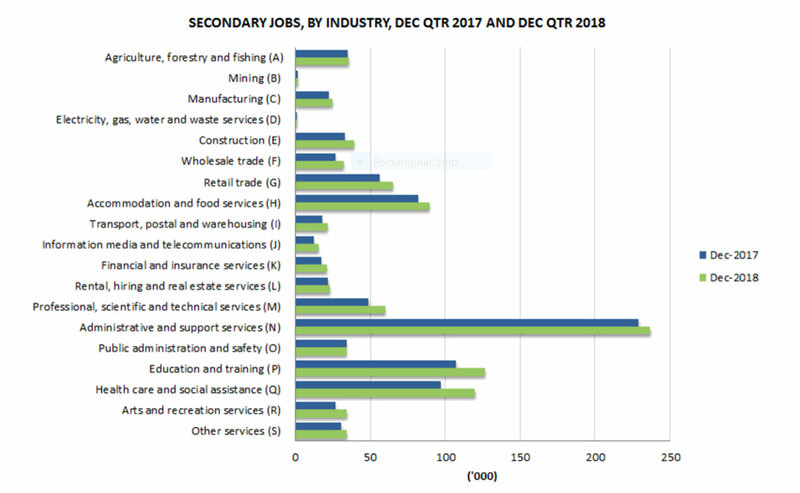 New data from the Australian Bureau of Statistics (ABS) reveals secondary jobs, where a person is working one or more other jobs outside of their main job, rose to a record high of more than one million in the December quarter 2018. Secondary jobs now represent more than 7 per cent of all jobs worked in the economy – but is this a result of us choosing to work differently, or being forced to pick up more work? Source: ABS 6150. Click on image to enlarge. For years, we’ve been talking about the need for more flexibility in the workplace. Many people have benefited as employers have shifted their mindset towards part-time, working from home and job-shares, but others have sought out that flexibility through non-traditional means. Engaging in many different jobs is often said to be the best way to have your cake and eat it too. The many benefits espoused of portfolio careers include flexibility, independence, freedom and variety – as well as the opportunity to earn extra income on the side. Some claim this way of working even improves overall career and job satisfaction – and who doesn’t want that? But while some people are choosing to work for many employers (or themselves) to chart their own career pathway, others are being forced to take on multiple jobs because they’re not earning enough in their primary job. In a report published last year, the Australian peak body for trade unions, the Australian Council of Trade Unions (ACTU) argues there are too many casual jobs in Australia, with roughly one in every four people employed on a casual basis. While acknowledging that some part-time workers choose this form of work because it provides work-family life balance or for other personal reasons, the ACTU report says many people would prefer to work more hours if this option were available to them. Indeed, unemployment fell to an eight-year low nationally of 4.9 per cent in February, however the rate of underemployment – where people would like to be working more hours than they’re currently working – is at a near record high of 8.1 per cent, down marginally compared to the same time last year. According to the ACTU report, the growth in non-standard work shifts ‘economic risk’ from the employer to the worker. But it also shifts the retirement risk from the employer to the worker. While employers are required to pay the mandated 9.5 per cent Superannuation Guarantee (SG) to casual workers, the nature of casual work means people are likely to be in and out of the workforce, making the stream of super payments more punctuated than is the case in traditional full-time employment. Further, the self-employed are not forced to direct a portion of their income to super, and while some do make this provision, many are instead relying on the future sale of their business to fund their retirement nest egg. CoreData’s research for Bankwest last year on succession planning among Australian SMEs found the “ideal” succession plan for WA business owners was sale to a third party or existing partners. Yet only three quarters of those intending to sell were confident their business was a saleable asset. 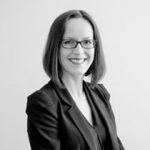 Banking on a business sale come retirement is a risky strategy; we’ve all seen how quickly successful companies can collapse – think Borders and Napolean Perdis – and how exposed businesses are in this day and age to game-changing disruption. And while you could argue the onus is on business owners to take responsibility for their own retirement future, the ability for casual workers to do this is less in their control. The trend towards less secure forms of work is perhaps most concerning for women. Women already face worse retirement outcomes than men due to a range of factors, not least of which the fact that many take time out of the workforce to raise children. Analysis from the ABS suggests women trail men in three key measures related to economic security: employment, wealth and income. Not only are fewer women in the labour force, those who are, are more likely to be in part-time or casual employment and to be underemployed. 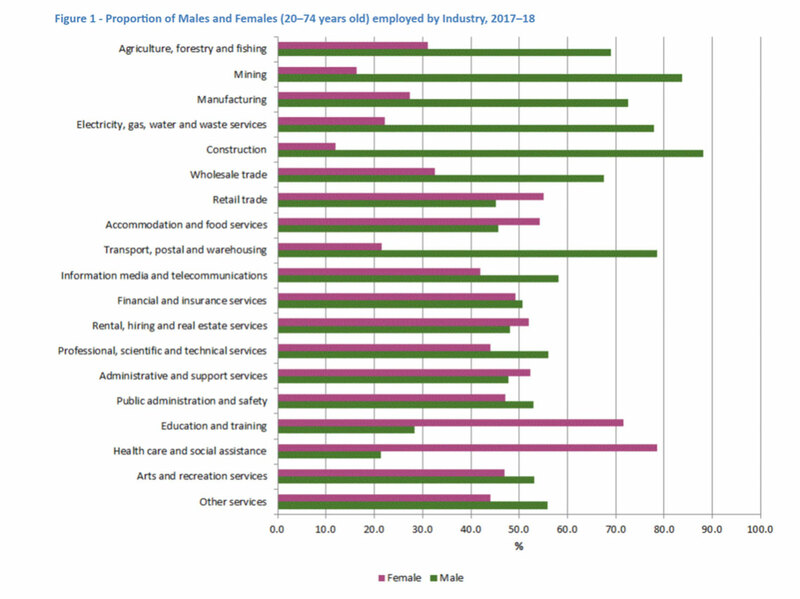 Given the top three industries with the highest number of secondary jobs are administrative and support services, education and training and healthcare and social assistance – all industries with high rates of female employees – it’s fair to say that flexible working is both a blessing and a curse for women. Source: ABS 4125. Click on image to enlarge. With stagnating wage growth and the increasing prevalence of secondary jobs, the onus is on financial advisers, super funds and banks to educate Australians about ways to plan for a secure retirement in a VUCA (volatility, uncertainty, complexity and ambiguity) environment. Portfolio careers might seem glamorous, but the reality is not everyone is choosing this way of earning a living, and even those who are may not be aware of the risk they’re inadvertently introducing to their own retirement security.